There are 20 posts in this thread, and it has been viewed 12001 times. So, is Art of Fighting 3 the best in the series? 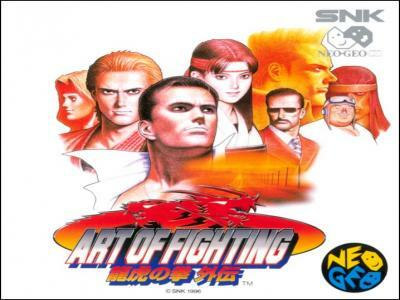 The Art of Fighting series follows the conventions of the time in the sense that the player faces a variety of opponents in best two-out-of-three matches. 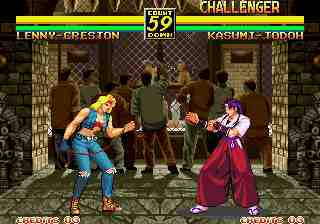 Each of the game's characters have a unique fighting style and set of special techniques. The player has two basic attacks�punch and kick�as well as a utility button that switches between punches, kicks, and throws. A fourth button is used for taunting. 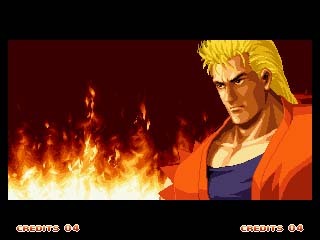 In Art of Fighting 3 featured a new cast of characters with the exception of Ryo and Robert. 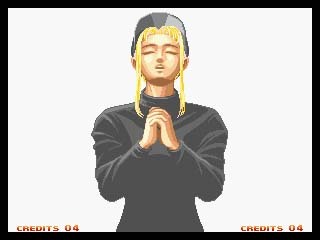 Yuri Sakazaki is seen in the game, but only as a side character in Ryo and Robert's story mode. This AOF game is spectacular above its sequels. 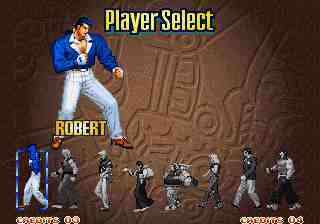 Even though previous fighters like King, Mr. Big, John Crawley and Mickey Rogers do not recur in the game, the new characters have a lot in common with the main protagonists Robert and Ryo. 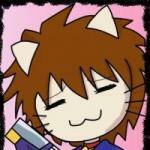 Kole, Kasumi, Lenny and Robert are preferable fighters for me. Although Yuri doesn't fight, she makes an appearance now and then. Finally you get to know the protagonists true titles "The Invincible Dragon" (Ryo) and "The Raging Tiger" (Robert). I wonder what the other characters' titles are. The features that make the game good are its easy gameplay, the charging punching ability, tripping kicks, colourful scenes (some of which have both day and night times), plotlines for every character and the super moves are much easier to perform. The Ticho de Maco festival streets has interesting change of music to muffled bands playing (In the Neo-Geo CD version the bagpipes are unrealistic with an awful reed). This video game is a recommendable one to play. I don't think it would have been suitable to port to SNES, cos it would definitely have been stripped of its fantastic features. i still tend to come back to the second game more as it just has the better roster. Regardless of this I do intend to pick it up as I believe a lot of members are fond of the game , so when I do I will put it in the bought NG game thread and let you know what I think. IMO AoF 3 has great gameplay elements, wonderful graphics (I just love the temple stage) and a nice story telling for each character. But for several reasons I still prefer the first(!) AoF over its sequels. I don't know if it is the timeless soundtrack,the overall ambience or the frustrating moments when you play it for the first time. Even the second episode doesn't reach it's epicness (as I said, just my opinon). Main post updated with link to HSC. AOF 3 is a good way to end the series, (Wish it continued though), but at least the story is great (Although you have to play the Console version to see it), plus, the graphics almost compare to MotW somewhat, and the inclusion of Ultimate K.O. 's make it a struggle for a one-win match, although the difficulty of this game is somewhat decent, when it gets to Sinclair though Wyler (On Default Difficulty) it can be somewhat of a pain. Like I said, my vote just isn't that simple (between 2 & 3). Three words : RYO'S MULLET ROCKS! I agree AOF3 is the best game in the series, graphics and play wise, but AOF2 has the better roster for vs play. VS being the best way to enjoy AOF2 I might add!!! AOF2 just has a classic cast with many characters showing up in other KOFs. The AOF3 roster, while neat, suffers from MOTWs and SF3 syndrome, great game with new play style and mechanics, but too many new faces. Which can leave many fans feeling left out in the cold if their favorite character has been left out. With all that said tho I play AOF3 the most and on a fairly regular basis. Its also a game I enjoy showing to people that don't play neo games , its so crisp, clean and has such a colorful palette that the average gamer can appreciate it and the Neo without thinking its a SNES game lol Which is unfortunately where 2D sits in many a gamers minds. 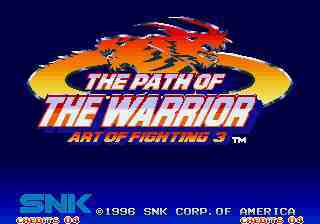 Graphically, the game is years ahead of it's time for the Neo-Geo with it's huge detailed sprites and fluid animations. However, this game just plain falls flat on it's face when it comes to gameplay. The controls are extremely cumbersome, and the fighting system is just not good at all with a ridiculous combo system that is very hard to get a good grasp of. Although, it is definitely more "flashy" than anything possible in AOF1 or 2, where you couldn't chain attacks together or cancel into moves, it doesn't even compare to what's possible in the KOF or RBFF. Most of the combo's in this game are juggles, so they look like something out of Mortal Kombat or Virtua Fighter with their floaty (and awkward) physics. The other problem with this game is the roster. AOF previously had some interesting characters, particularly King, Lee, Eiji and Mr.Big, but they are now long gone. Unlike MOTW, a game where most of the newcomers were mostly very good, all of the newcomers in AOF3 are just plain boring and stupid, except for Kasumi Todo, whom is one of the best things to ever happen to the KOF series seeing AOF3 nails the coffin on this below average fighting series. Ryo and Robert offer nothing new to this game, reassuring their status as the Ryu and Ken (Making them all the more boring, unlike in the KOF games where they actually evolve), and the boss of this game is just one lame joke. Story? 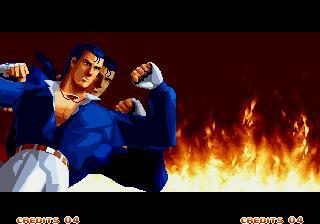 Completely forgettable and random, but then who plays fighting games expecting a good story? Overall, I'd pass on this game. This game is only worth re-visiting for it's graphical achievements at the time. It has nothing worthwhile to offer in the gameplay department, nor any memorable characters (Again, save Kasumi, but in AOF3 she feels so gimped compared to how she plays in KOF96). The soundtrack is decent, but AOF1 and 2 had way better soundtracks in the end. It's for the best SNK didn't revive this series and keep it's better characters (Namely King) going throughout the KOF series. The eccentric cat wrote:its hard to describe. Slow, clunky, cumbersome, and downright horrible, just like AOF1 and 2. Rest of the match involves random pokes and throws, while spamming weak traveling special moves (Like the Hienshippukyaku). Trust me on this one too. I used to play alot of AOF2 online, and I've observed Acidglow's online matches. Art of Fighting 3 is excellent. Visually stunning this is one of the best looking fighters on the system with some very impressive sprite animation. I love the soundtrack too. I like how they put a lot of effort into the story in this game and it's nice for a change that there's more focus on Robert Garcia this time round. Gameplay does feel quite a bit different compared to AOF 2 but I still really enjoy playing this game. However I will always prefer AOF2. The problem is the cast in AOF3 is fairly disappointing. It's not so much that there aren't many characters just that some of the new ones are pretty uninspiring especially Rody Birts, Lenny Creston and Wang Koh-San. Not the sort of characters people tend to list as being amongst their SNK favourites. Kasumi Todoh is a great addition though and the only one of the new characters I really enjoy using. Yuri is my favourite in AOF2 so it's very disappointing she's not playable this time round. I wish the original SNK had made a fourth installment in this series. i love AOF3!!! one of my favourite fighters on the system! i have some of the best fights on this. i dont know about cheap tactics so maybe thats true but i just like fighting normally. i love it i think you can be ultra creative in this game the way you fight. Cat's right it is different, i think thats why i like it so much. people have said its a bit like a 3D fighter in the way the fighting system works and i would agree. I haven't finished this one yet, but I like it quite a lot. Great graphics and all. Maybe it's just me, but so far it also seems to be a lot easier than the previous two games in the series. I've recently discovered something. The Ticho de Maco festival streets music seems to have been extracted from the 1985 movie "Dot and the Koala" by Yoram Gross (Director of Blinky Bill). If you find the movie you'll hear the music at 57:28 which is the near end of the movie. That was quite a trivia that could be easily overlooked.